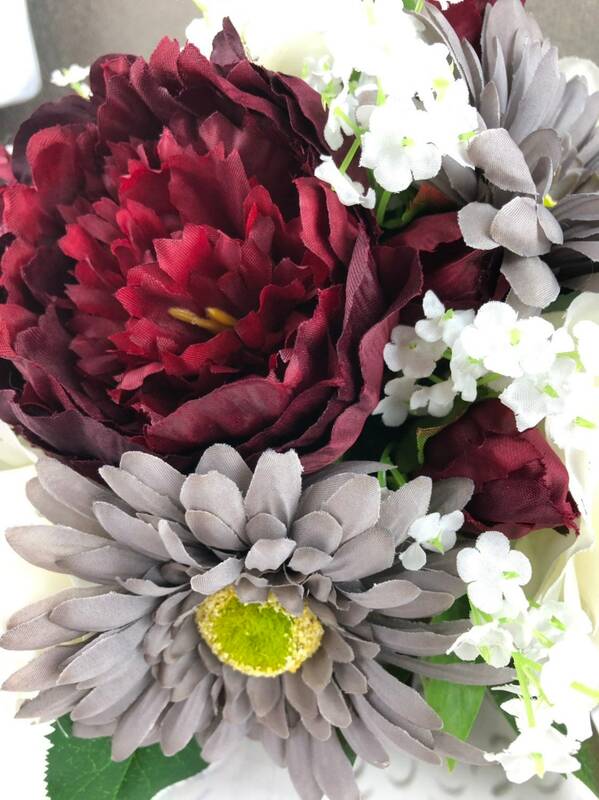 It's all about the shape! 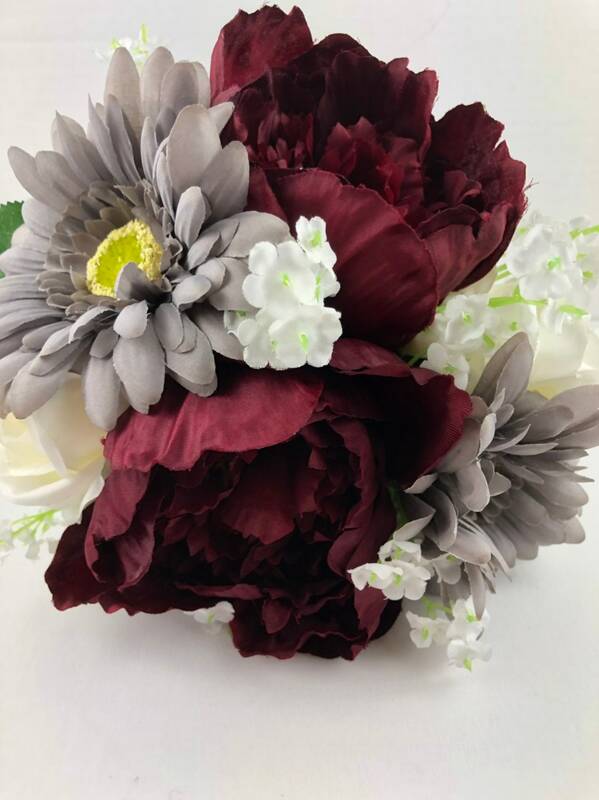 Round bouquets are formed into perfect domes, often using a single type of flower like Roses or Gerberas. 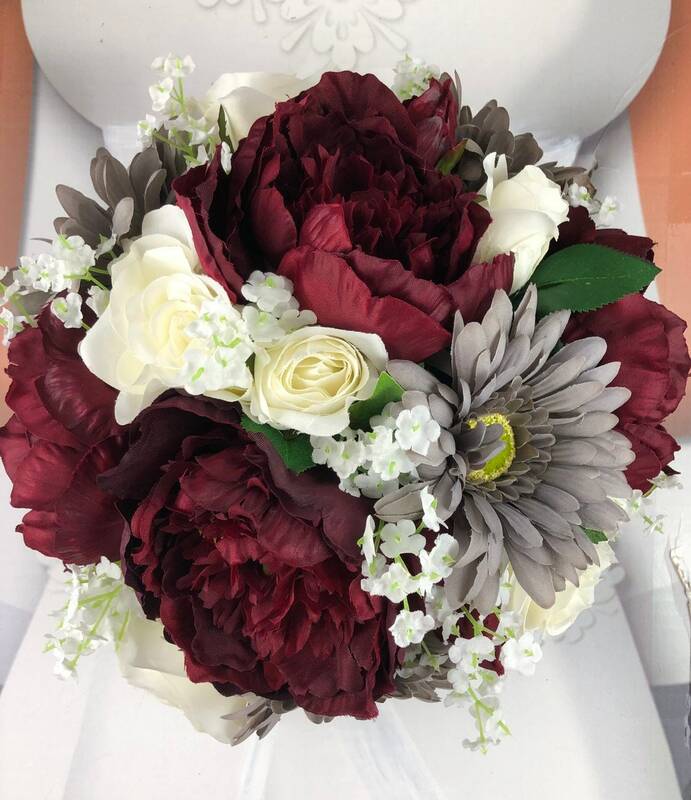 Round bouquets are also often monochromatic, although they look just as beautiful featuring flowers in a variety of colors. 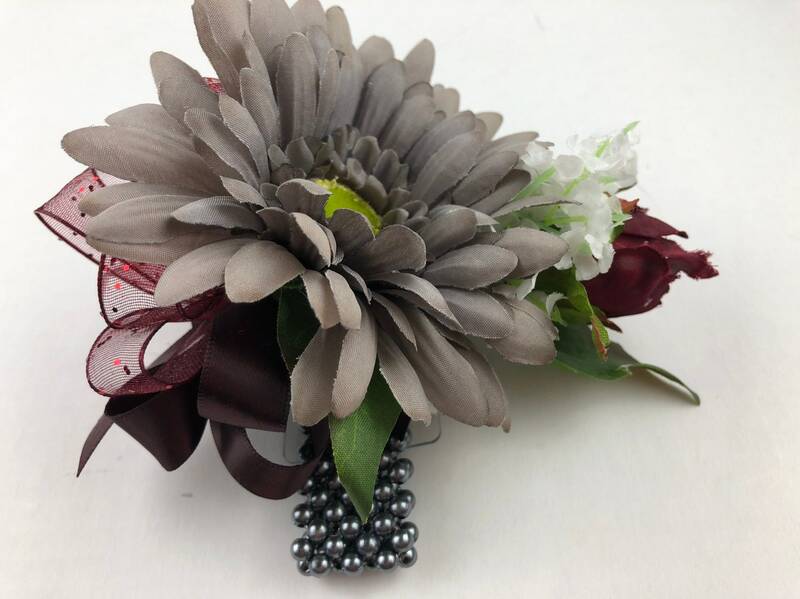 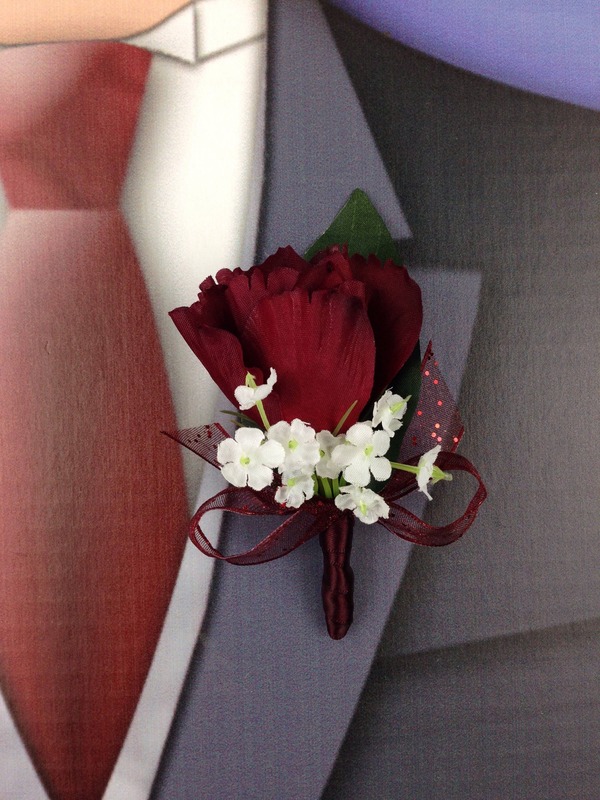 This listing is for a Artificial Burgundy, Gray, and White, Bridal Bouquet flowers. 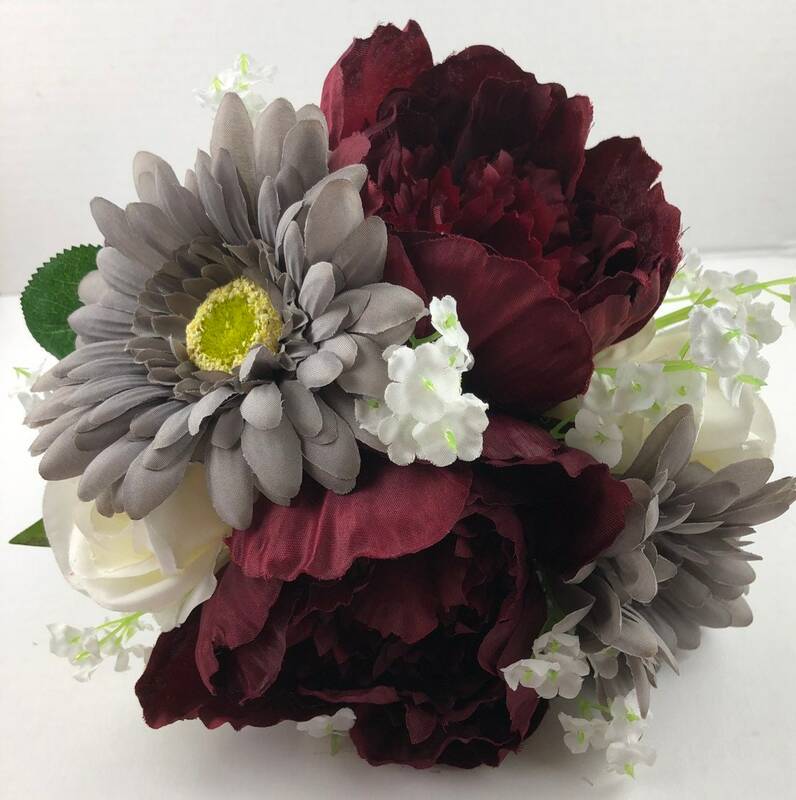 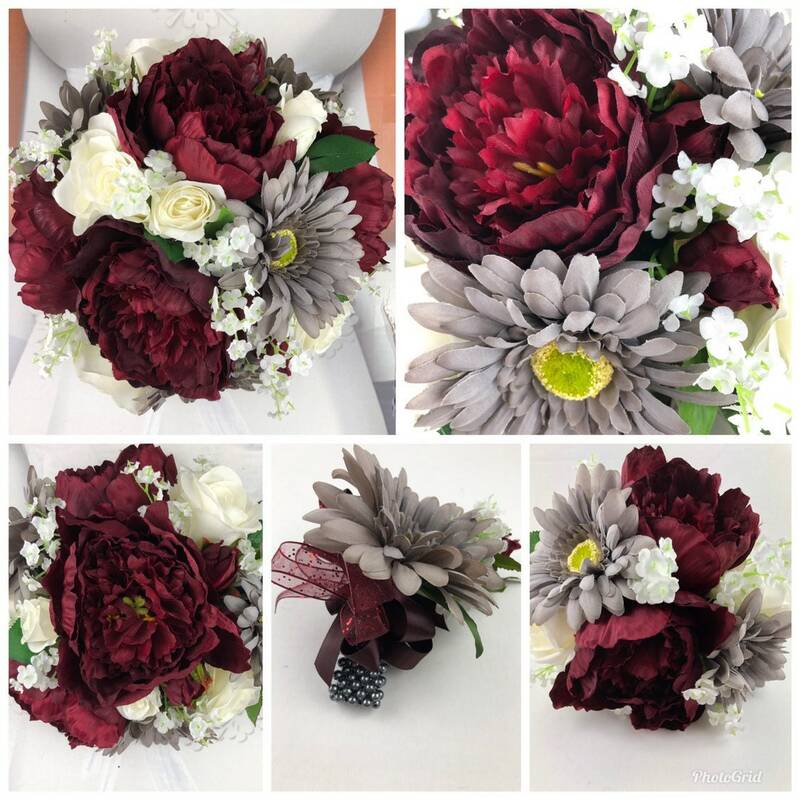 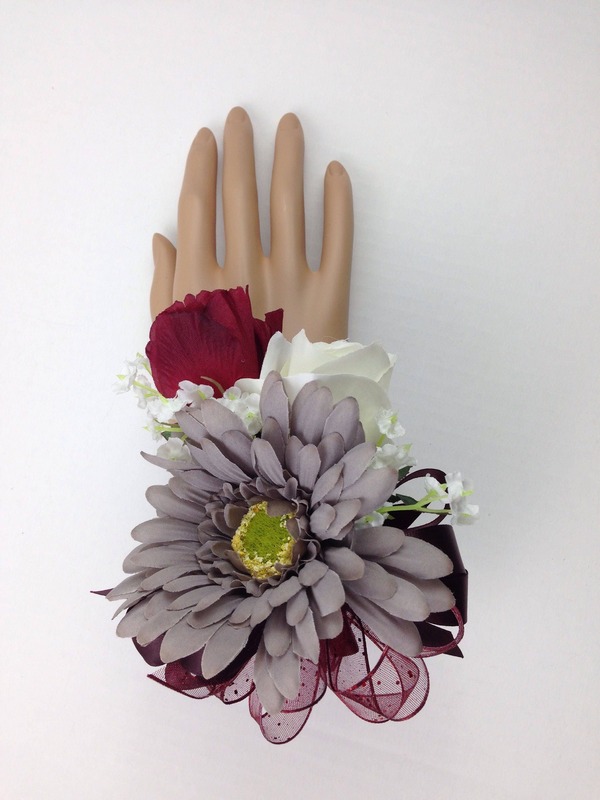 Created with Peony, Gray Gerbera Daisies, White Roses and White Baby's Breath and finished with Wine Satin Ribbon. 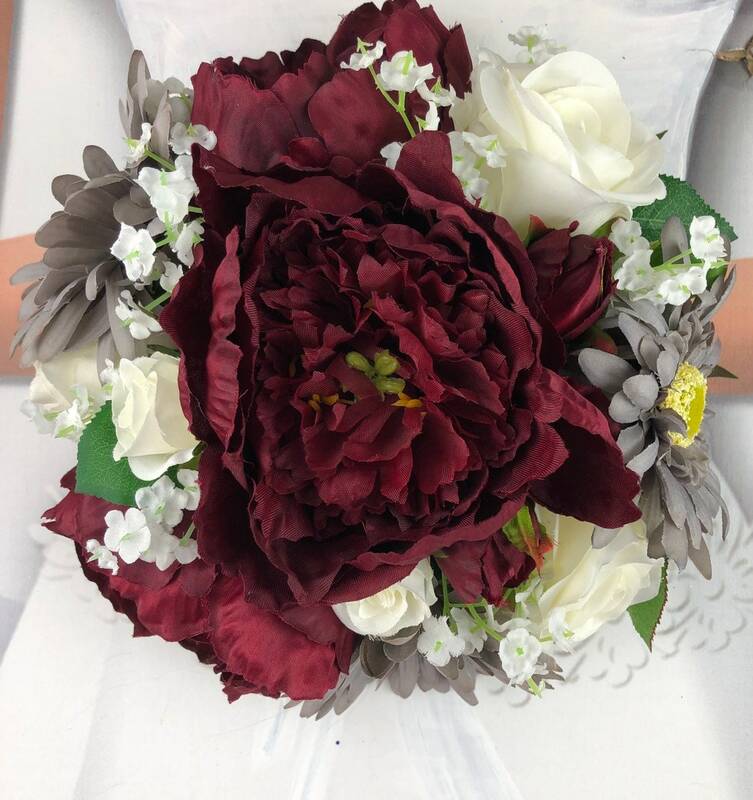 Convo me for a custom listing.